With the end of summer, comes an abundance of tomatoes and basil. A platter of caprese salad is a delicious addition to any meal. Traditionally, the ingredients are layered nicely, but I was in a hurry and tossed them together and (horrors) sliced up the basil too. Oh well. Layer tomatoes, basil, and mozzarella slices. Drizzle with olive oil and grind salt and pepper over all. 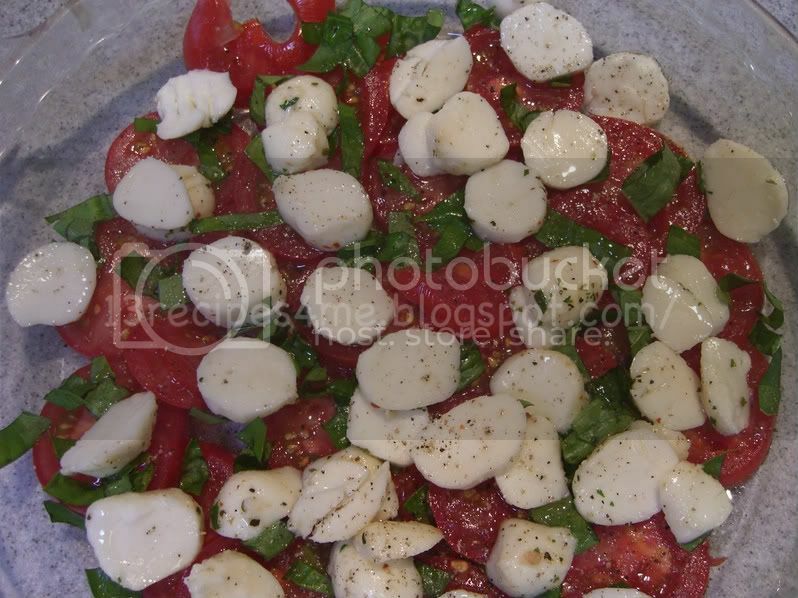 Never heard of caprese salad before, but it looks really good!